Make sure your pet stays pest-free with our preventative flea and tick care. Has your dog or cat already been infected? We can take care of that, too. Give your pet the proper treatment with our preventative heart worm medication. It is easy to use and painless, making it perfect for every pet! Animals are just like us when it comes to their health care. Make sure your pet is getting their annual examination. Bring them in to our veterinarian today! Keep your animals disease-free by bringing them in to our clinic for their vaccinations. Getting a vaccination now will help you save money on your pet's future care! Need help managing your pet's weight? We can provide prescription diets for your pet to make sure they stay healthy and in optimum playing shape for years to come! Imagine the heartbreak of not being able to find your pet, even for just a few days. You can keep track of your dog or cat with our fast and easy microchipping services. Make your pet's care a priority. 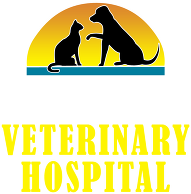 Trust our 35 years of experience for all of your pet's preventative care.